Despite being the third most popular pet in the UK, rabbits are among the most abused and neglected. 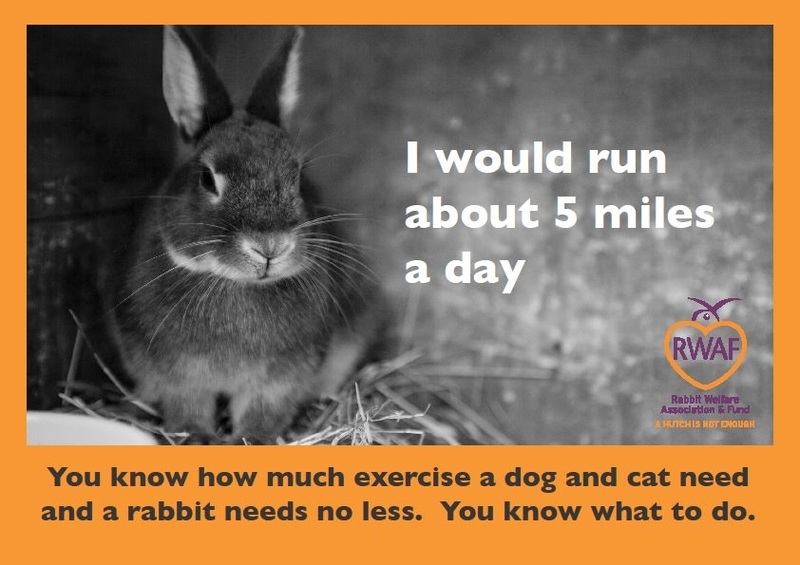 Countless rabbits spend miserable lives confined to a hutch, alone and with little or no space to exercise, mostly because owners don’t realise what’s involved before taking them on. Before you take on rabbits as pets, please read these Advice pages to get an idea of everything involved in their care. If you can’t commit to giving them what they need to live full and contented lives then rabbits are not for you. Are you right for rabbits? Countless rabbits suffer neglect at the hands of owners who don’t understand, or aren’t ready to commit to their rabbits’ needs. We cover both these questions on this page – take just a little time to read it. Rescue shelters are bursting at the seams with rabbits abandoned by owners who didn’t take the trouble to find out what was involved – an estimated 67,000 rabbits a year go through rescue. Rabbits are rarely cuddly – as prey animals they are nervous by nature and can bite or scratch when stressed. Building up a relationship with a rabbit takes time and patience and has to be on the rabbit’s terms. Children often lack this patience. Rabbits are a prey species, so when they’re picked up their instinct tells them they have been caught by a predator, and they often react aggressively. Most good owners will only pick up the rabbits to check their health. The pleasure is in watching them display their natural behaviours. The Victorians kept rabbits in hutches for easy access for meat and the habit stuck. Wild rabbits live in large underground warrens. When they are above ground they cover a large area each day. Pet rabbits need a living area that is at least 10 feet by 6 feet with permanent access to a living area. Studies show that rabbits value companionship almost as much as food. Watch a pair or group of bonded rabbits snuggling up together and cleaning each other and you’ll see exactly why it’s cruel to keep a rabbit on its own. Rabbits should be cleaned out every day and given fresh hay and bedding. They can live for over ten years so that’s a lot of clean outs! They need annual vaccinations and can be very susceptible to medical problems, so expect visits to the vet! Rabbits suffer for their looks. Children see a cute and fluffy rabbit in a pet shop and pester their parents to buy it. But as with their toys, children often lose interest quickly and the rabbit is abandoned or endures a miserable life alone in a hutch at the end of the garden. Whilst pet rabbits are inexpensive to buy, caring for them isn’t. You’ll need a secure outdoor enclosure or good quality indoor cage as well as food, hay and bedding, neutering (castrating for males, spaying for females), vaccination and vet trips. Caring for a pair of rabbits over their lifetime can cost over £10,000. It doesn’t make you a bad person if you don’t think that’s for you. In fact, if there were more people who really thought about what was involved and decided that it wasn’t for them, then rescue shelters wouldn’t be at crisis point and there wouldn’t be so many rabbits neglected and suffering at the end of the garden, all but forgotten. It’s a myth that rabbits should be kept with guinea pigs. They have different dietary requirements and the guinea pig can easily be injured by the larger rabbit. A huge benefit of keeping rabbits together is their mutual grooming – this does not happen with a guinea pig. The real pleasure of having rabbits is seeing them act like rabbits! Watching them displaying their natural behaviours of running, jumping, digging and foraging, or simply grooming their partner is a joy to behold. And if you get to see a flop or a binky then you know you’re doing something right! Rabbits can live for ten to twelve years so add ten years to your child’s age if they say they want a rabbit and promise to look after it every day. Under the law you are responsible for the animal anyway but do you really think your child will still be interested in five years time? How about ten? Maybe, but maybe not!